The world seen through the eyes of an artist. 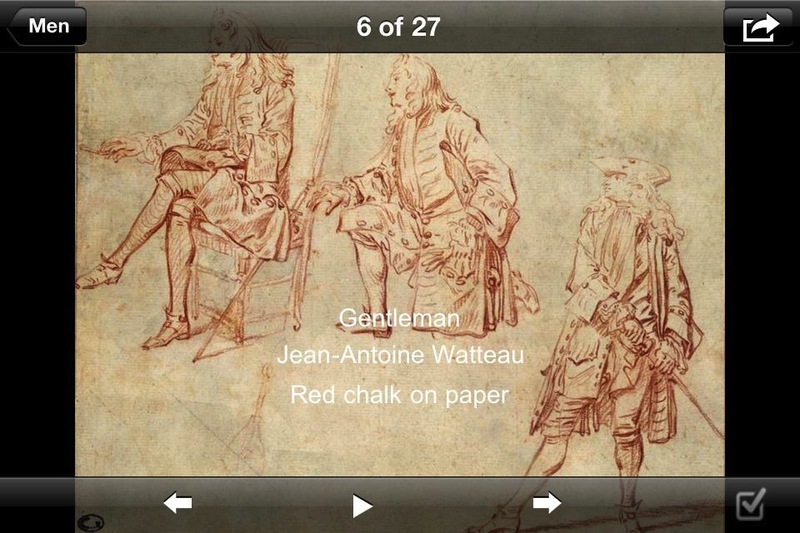 In this FULL VERSION, designed for iPhone® and iPad®, you will find over 100 drawings by the great Antoine Watteau. Enjoy the high quality images of his drawings, share them with your friends via email, and learn about the artist life. 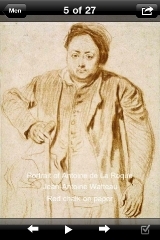 Jean-Antoine Watteau (1684–1721) was a French painter whose brief career spurred the revival of interest in color and movement (in the tradition of Correggio and Rubens), and revitalized the waning Baroque idiom, which eventually became known as Rococo. He is credited with inventing the genre of fêtes galantes: scenes of bucolic and idyllic charm, suffused with an air of theatricality. 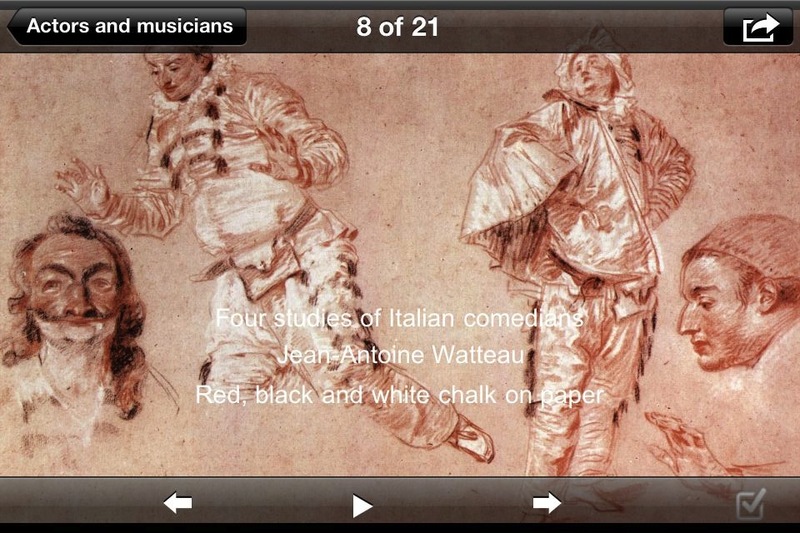 Some of his best known subjects were drawn from the world of Italian comedy and ballet. 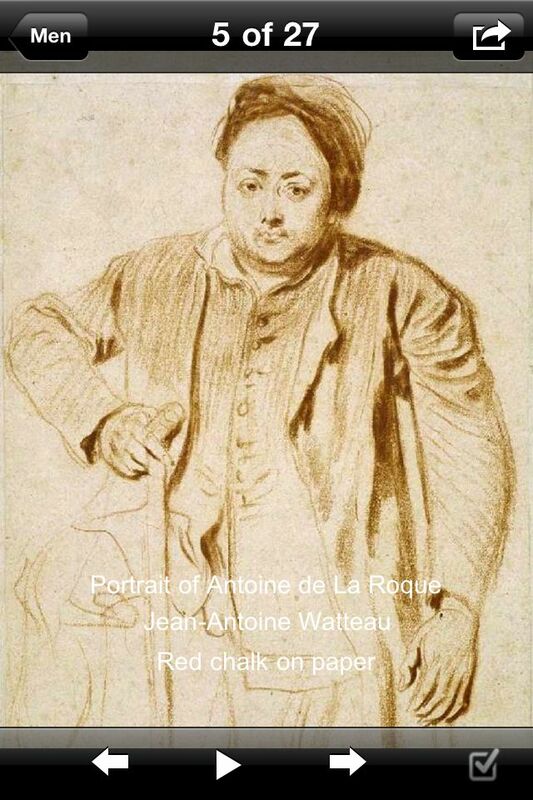 Watteau anticipates the world of art as seen through the eyes of an artist. His mature paintings display a sober melancholy, a sense of the ultimate futility of life, that makes him, among 18th century painters, one of the closest to modern sensibilities. 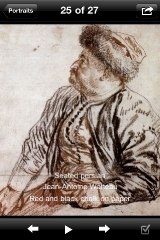 Watteau’s influence on the arts (not only painting, but the decorative arts, costume, film, poetry, music) was more extensive than that of almost any other 18th-century artist. In his treatment of the landscape background and of the atmospheric surroundings of the figures can be found the germs of Impressionism. 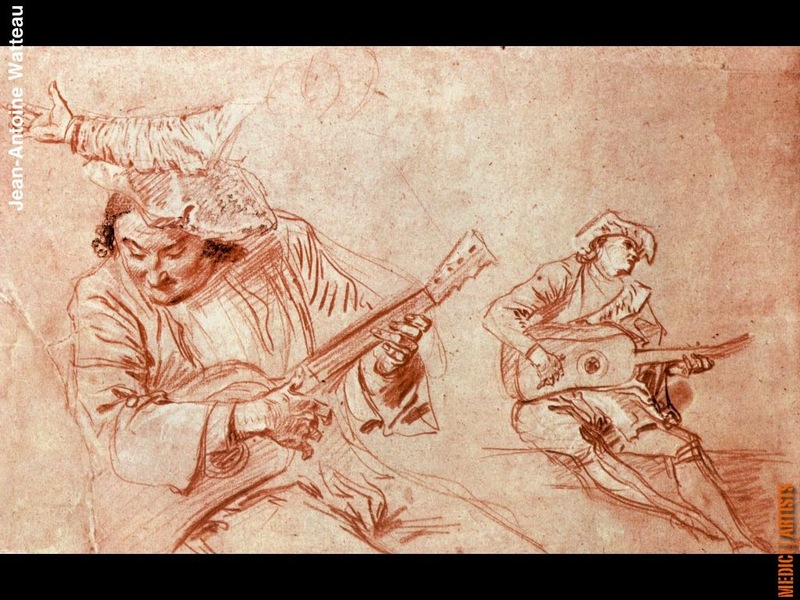 Admiration for the drawings of Watteau has always been equal to that of his paintings. 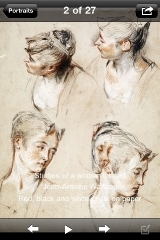 He drew few compositional studies; for the most part, his graphic oeuvre is made up of chalk studies of heads or figures. He filled sketchbooks with incisive renderings of figures drawn from life, which he would later mine for his painted compositions. 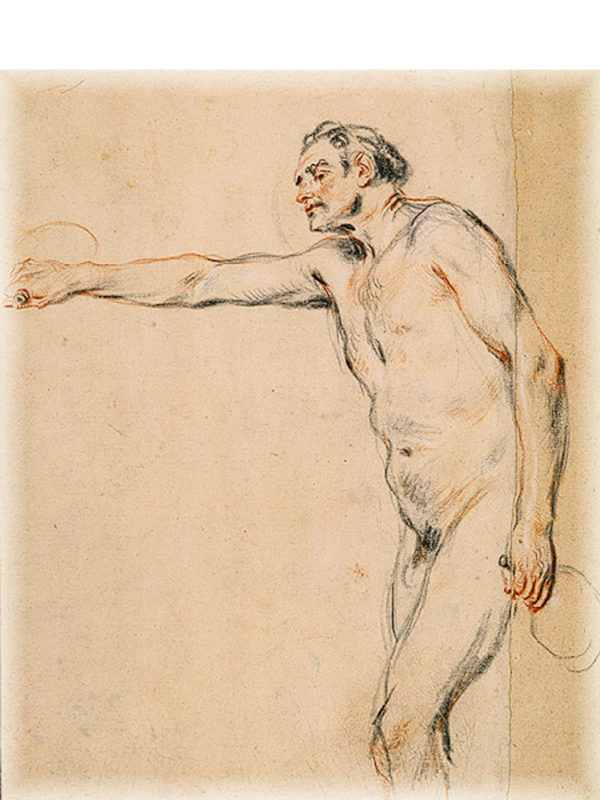 Although he limited himself to chalk, there is a clear evolution in the technique of Watteau’s drawings, as he added different colors to the mix. 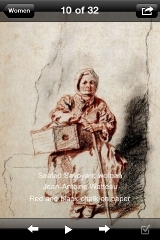 Although Watteau did not invent the technique of trois crayons, his name is always linked to the technique for his intuitive mastery of it, melding red, black, and white to great painterly and coloristic effect. An imaginative evocation of Watteau’s work that puts his amazing artistic abilities in perspective, without a doubt. Through this app, you can appreciate the strong command he had over his work. 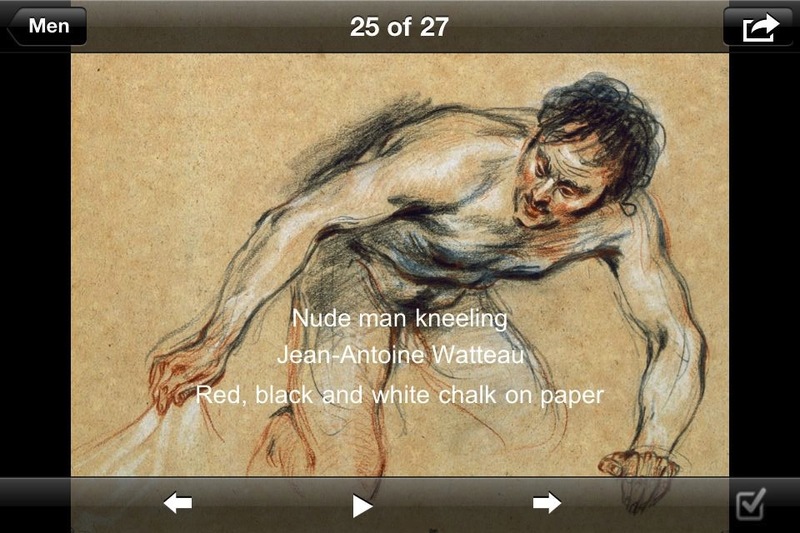 A fantastic app that provides rare insight- what goes into a human painting before it becomes a piece of art? 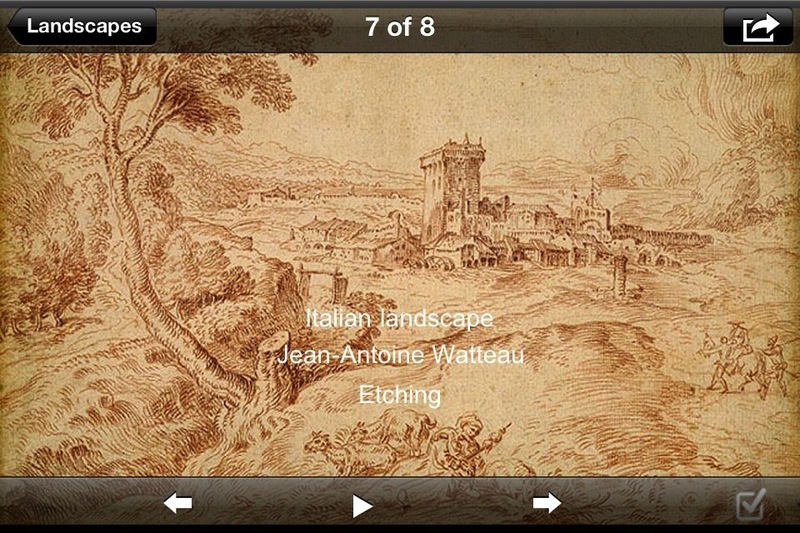 This app shows the how Watteau used color and how it affected his work.One can see that he also had interest in landscape, which has impressionist qualities. 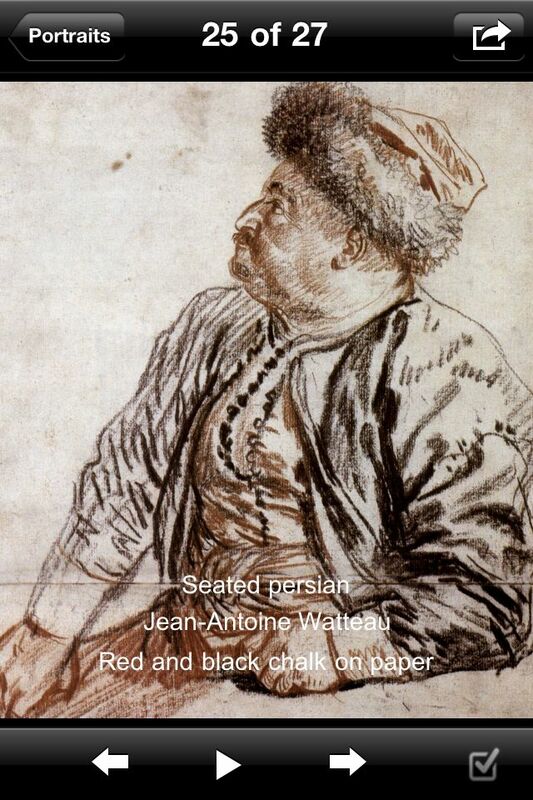 Wonderful app that presents Watteau’s unique approach to drawing and the elements he used in paintings. Worth downloading! 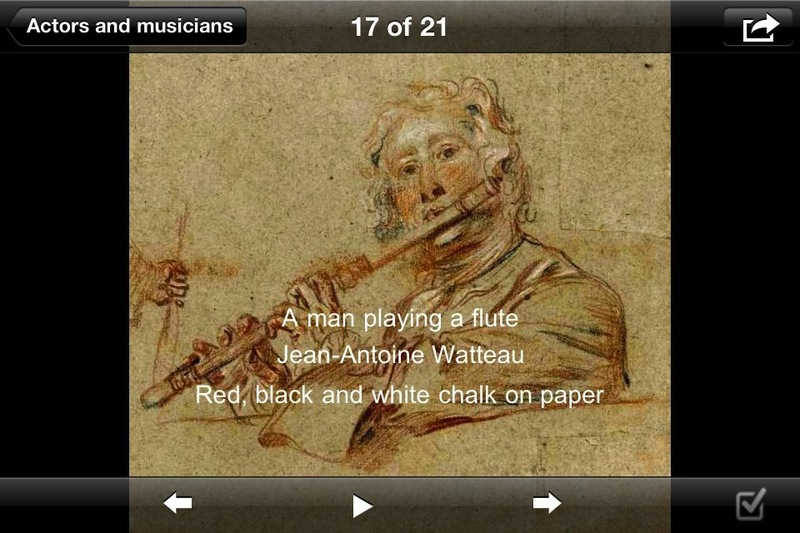 An app will be a delightful treat for any Watteau fan. High resolution images for your Iphone/Ipad that will provide insight into the incredible things Watteau could do with a pen. You will easily see why his pieces were moving and theatrical, beautiful for the sake of beauty. App aims to capture the spirit of the artist from his numerous drawings, all which are unique and beautiful in their own way. 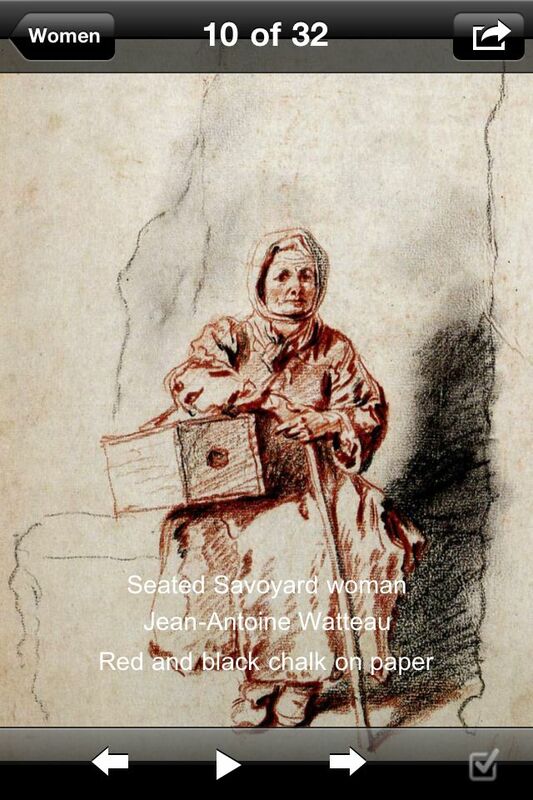 App provides several paintings, all which show the primary utilization of different colored pens primarily black, white and red. 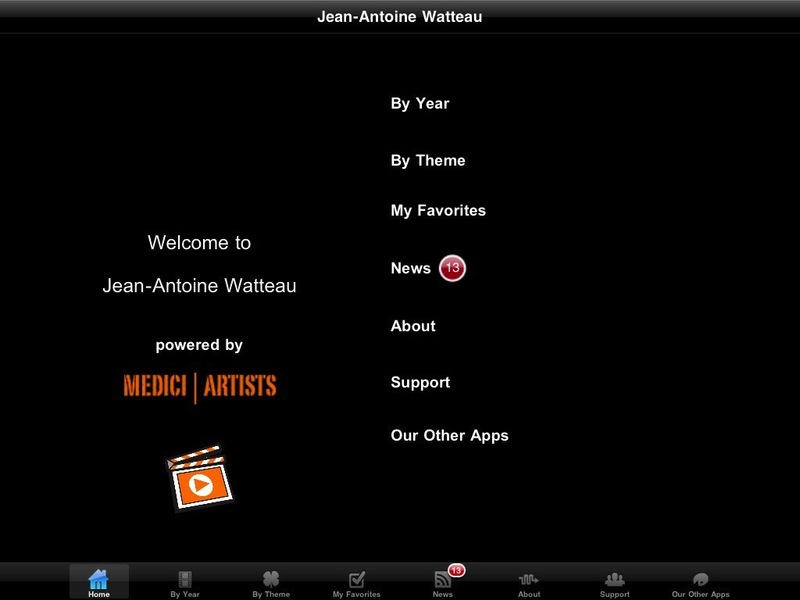 Fantastic app that will surely be appreciated by any art lover! This app will leave you satisfied if you appreciate art and its beauty. Easy to use, full of features, in which images are all high quality. A great tribute to a mastermind that will leave you inspired and wanting more. Leave a Reply to Walter S.